We are very proud to introduce this astonishing Floral Wall Mirror. 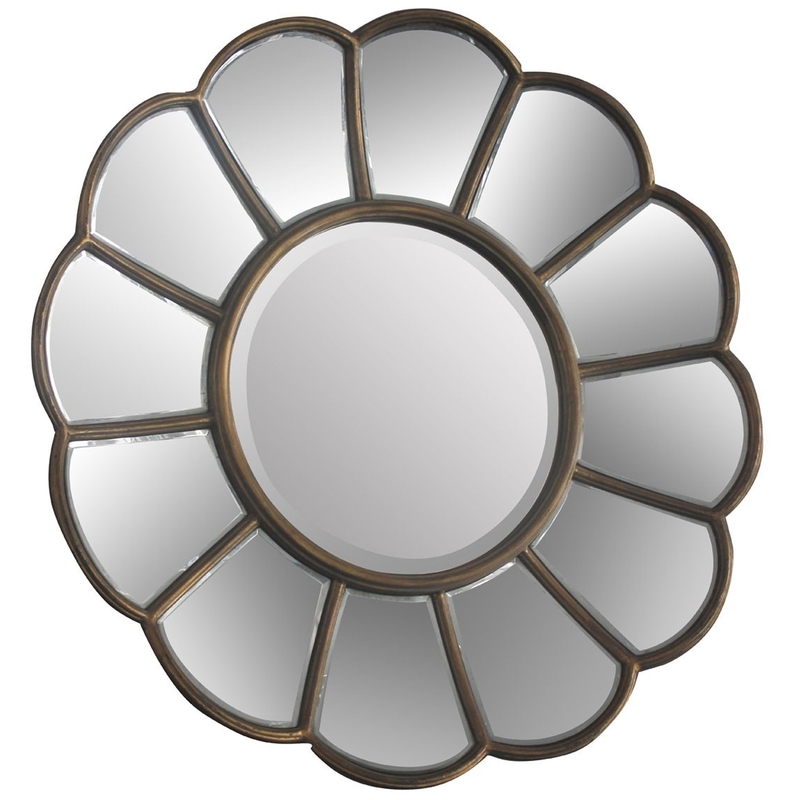 This mirror contains a wonderful flower design, given a modern and elegant twist. This wall mirror is created out of a gorgeous mirrored glass with a golden coloured metal frame to add the design and to add strength to the piece.